Extreme Flight Elite and Cyclone Spinners are high-quality spinners with ABS plastic cone and aluminum backplate (52mm and larger), finished in colors to match Extreme Flight airframes and others. Dress up your electric model with an Extreme Flight Elite or Cyclone spinner! 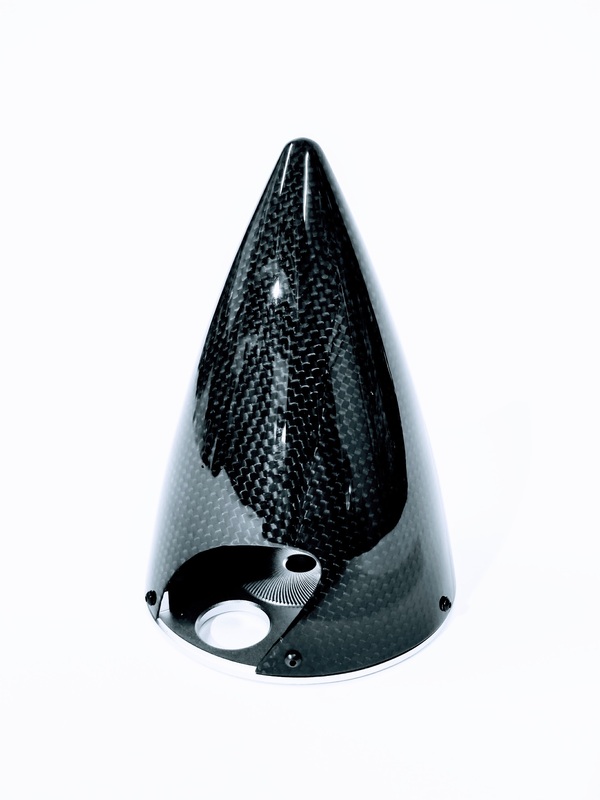 Extreme Flight's Carbon Fiber spinners offer high-performance carbon cone with aluminum backplate. 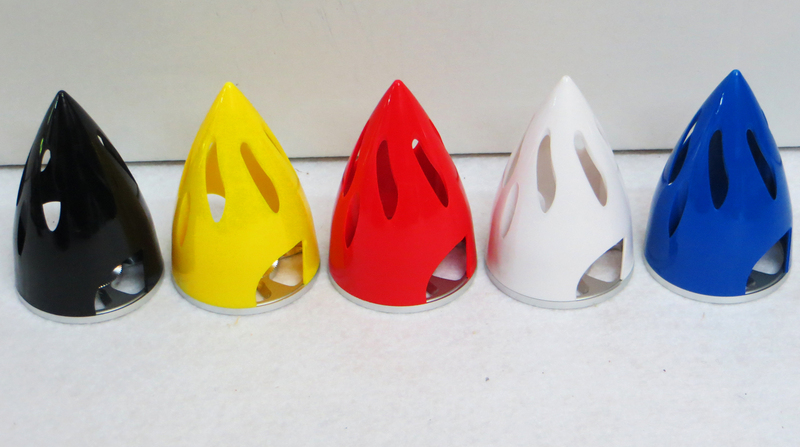 Beaufilully finished in clear or painted in common colors to match Extreme Flight airframes and others. Extreme Flight Carbon Fiber spinners may be used for gas or electric applications. Note, the backplate must be drilled for gas applications. Adaptor rings are included for electric motor applications.